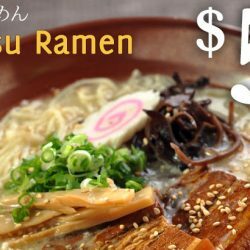 17 - 22 Jan 2017 Daikokuya Ramen Dining: $5 Tonkotsu Ramen for Lunch! 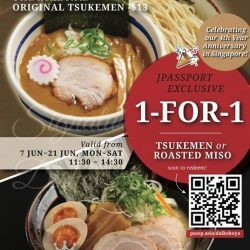 Exclusive for J Passport members, enjoy $5 Tonkotsu Ramen (UP $12.80) exclusively at Daikokuya Ramen Dining @Robertson Quay! Enjoy authentic Hokkaido Tonkotsu Ramen with no MSG added! Redeem this deal at J Passport app by 22 January 2017. 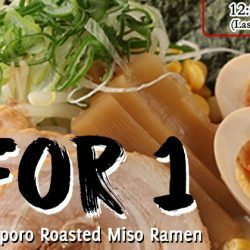 Exclusive for J Passport members, enjoy 1-for-1 Signature Sapporo Roasted Miso Ramen exclusively at Daikokuya Ramen Dining @Robertson Quay! Daikokuya specialises in Sapporo Roasted Miso Ramen, which is the most famous of all miso ramen! Redeem this deal at J Passport app by 27 November 2016.